With the anniversary of DuPont’s Imprelis recall just two months away, property owners are being warned that their rights to obtain compensation from DuPont for their dead and dying trees may be in jeopardy. According to a proposed Imprelis class action that is currently awaiting court approval, property owners have only until June 28th to either file a claim or opt-out of the class action settlement. It is only by informing the Court, in writing, of their desire to opt-out of the settlement of filing a claim by June 28, 2013 that property owners and other damaged parties will be able to maintain their right to file an individual Imprelis claim or lawsuit against DuPont. DuPont brought its Imprelis herbicide to market in 2010, boasting that it was “the most advanced turf herbicide in over 40 years.” But it wasn’t long after lawn care professionals started using Imprelis in the spring of 2011 that reports began to surface around the country that trees within proximity of Imprelis applications were showing signs of damage and death. After an investigation, the U.S. Environmental Protection Agency (EPA) blamed Imprelis for the deaths of thousands of mature landscape trees around the country. DuPont announced an Imprelis recall in August 2011, and the EPA issued a Stop Sale and Removal Order for the product that same month. The cost to replace mature landscape trees is astronomical, and many property owners lost multiple trees to Imprelis. Not surprisingly, the company is facing thousands of claims, and recently, the proposed class action settlement was announced. Approval of the pact could come as soon as this fall. What remains to be seen is whether or not the compensation provided by the Imprelis class action settlement will be adequate to cover the damage sustained by homeowners. For one thing, severe damage to tees and adjacent vegetation may not occur or become apparent until years after an Imprelis application. Gilman Law LLP believes property owners who sustained losses due to Imprelis are entitled to substantial compensation, including tree removal and replacement with like kind trees (e.g. similar in size), and an unlimited full warranty from DuPont for any future Imprelis tree damage and full remediation. Some property owners have decided to forgo the Imprelis class action process in favor of filing their own individual claims and lawsuits against DuPont. However, that will no longer be an option once the June 28th court imposed deadline has passed. Anyone who hasn’t either filed a claim or informed the Court of their desire to be excluded from the settlement will no longer have any legal options available for obtaining compensation. And again, those who wish to opt-out must do so in writing before the June 28th deadline. Gilman Law LLP is currently granting priority status to Imprelis claimants. 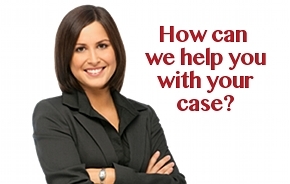 If you would like assistance exploring the legal options available to you, please contact Gilman Law LLP for a free legal consultation before June 28th by filling out the online form on the left or call Toll Free at 1-888-252-0048. This entry was posted in Consumer Protection Lawsuits, Defective Product Lawsuits, Toxic Substance Lawsuits on June 17, 2013 by Gilman Law. 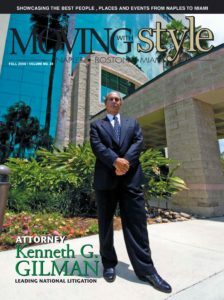 A class action lawsuit is presently pending against Ginn Development Company, LLC, and other Ginn entities, concerning what Plaintiffs allege to be misconduct surrounding the purchase and sale of various properties and/or developments by Ginn Development Company, LLC and its related or affiliate entities. If you or someone you know purchased a lot in a Ginn development (for example, Tesoro), please complete the Ginn Lawsuit Questionnaire below and submit your information to Gilman Law LLP. A representative or attorney from Gilman Law LLP will then contact you to discuss the matter in further detail and explain any options that may be available to you to attempt to recover your losses. This entry was posted in Consumer Protection Lawsuits and tagged ginn, ginn development, ginn lawsuit, tesoro on April 16, 2013 by Gilman Law. Force-Placed Insurance (sometimes called Lender-Placed Insurance) is a practice of many big banks, large lenders, and loan servicers, where these institutions forcefully charge a borrower for hazard insurance, wind insurance, and/or flood insurance when lenders, including SunTrust Mortgage, or servicers believe the insurance coverage has either lapsed or is not sufficient. Most standard residential mortgages require borrowers to maintain homeowners insurance, flood insurance, or wind insurance on his or her residence. 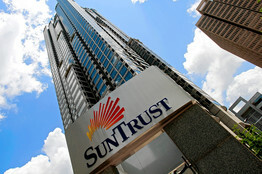 If the borrower fails to do so, SunTrust Mortgage (or SunTrust Bank) will purchase force-placed hazard insurance, force-placed wind insurance, or force-placed flood insurance to allegedly protect SunTrust’s “financial interest.” The premiums for SunTrust force-placed insurance policies typically cost as high as 10 times the amount of normal insurance policy. SunTrust Mortgage claim these excessive premiums are the responsibility of the borrower and typically tack them onto the borrower’s loan. This is true for force-placed hazard insurance, force-placed flood insurance, and force-placed wind insurance. This entry was posted in Consumer Protection Lawsuits and tagged suntrust bank, suntrust force-placed flood insurance, suntrust force-placed hazard insurance, suntrust force-placed homeowners insurance, SunTrust force-placed insurance, suntrust force-placed wind insurance, suntrust forced flood insurance, suntrust forced insurance, suntrust forced wind insurance, suntrust hazard insurance, suntrust lender placed insurance, suntrust mortgage, suntrust mortgage force-placed insurance on January 10, 2013 by Gilman Law. If you purchased a recent hotel room reservation from an online travel website, you may be entitled to compensation. Call Toll Free (888) 252-0048. Are the “Best Price” guarantees touted by Expedia, Priceline, Orbitz, Travelocity and other online travel websites something would-be travelers should count on? Maybe not, the Consumer Law team at Gilman Law LLP has recently filed a hotel room rate price-fixing lawsuit on behalf of angry consumers who’ve alleged that the online booking sites colluded with large hotel chains, including Starwood Hotels & Resorts, Marriott International, Hilton Worldwide, Intercontinental, and others to fix the prices of hotel rooms. According to these lawsuits, the pricing guarantees offered by the likes of Expedia, Priceline, Orbits and Travelocity are nothing more than illusions, and comparison shopping on these sites is a waste of time. This entry was posted in Consumer Protection Lawsuits and tagged consumer protection lawsuit, expedia price fixing, hilton price fixing, hotel price fixing lawsuit, hotel room lawsuit, hotel room price fixing, hotel room rate lawsuit, hotels.com price fixing, intercontinental hotels price fixing lawsuit, kimpton price fixing, marriott price fixing, orbitz price fixing, price fixing hotel rooms, priceline price fixing, room rate lawsuit, starwood price fixing lawsuit, travelocity price fixing, trump price fixing on September 17, 2012 by Gilman Law. Consumers who were spammed with a text message from Jiffy Lube last year will soon reap the benefits of a class action lawsuit that was filed on their behalf. Jiffy Lube franchisee Heartland Automotive Service has agreed to pay $47 million to settle claims in the text spam lawsuit that the text message violated the Telephone Consumer Protection Act (TCPA). This entry was posted in Consumer Protection Lawsuits and tagged jiffy lube settlement, spam text messages, spam texting, tcpa, tcpa attorney, tcpa claim, tcpa lawsuit, tcpa lawyer, tcpa settlement, telephone consumer protection act, text spam, text spam attorney, text spam lawyer, text spam settlement on August 10, 2012 by Gilman Law.